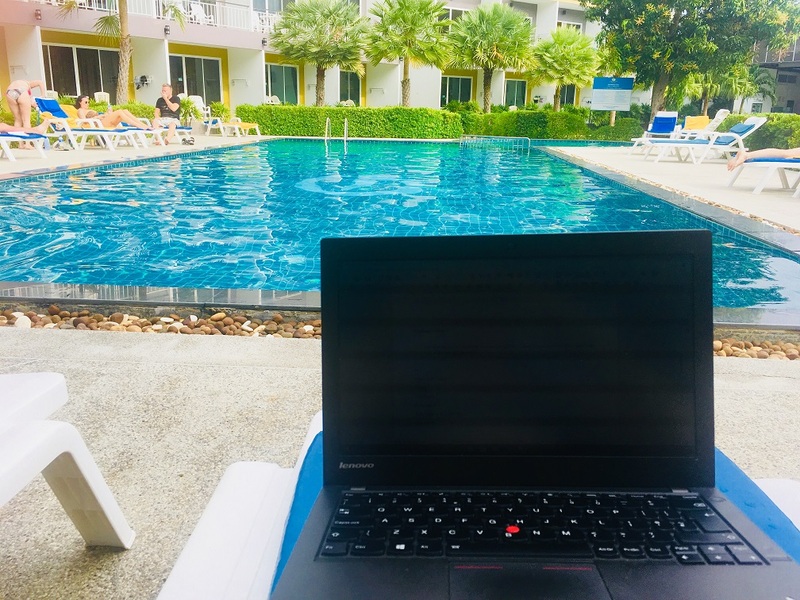 As I write this blog post I am sitting on a sun lounger by a beautiful pool, a few minutes’ walk from the beach on the spectacular island of Koh Phi Phi. For the last two weeks we have replaced long distance buses and cramped aeroplanes with leisurely ferries and swashbuckling long-tails. From Hanoi in Vietnam we flew to Krabi in Southern Thailand via Bangkok. This was our first experience of Air Asia (Asia’s low-cost version of Ryanair), and just like Ryanair, it was cheap but a little annoying. 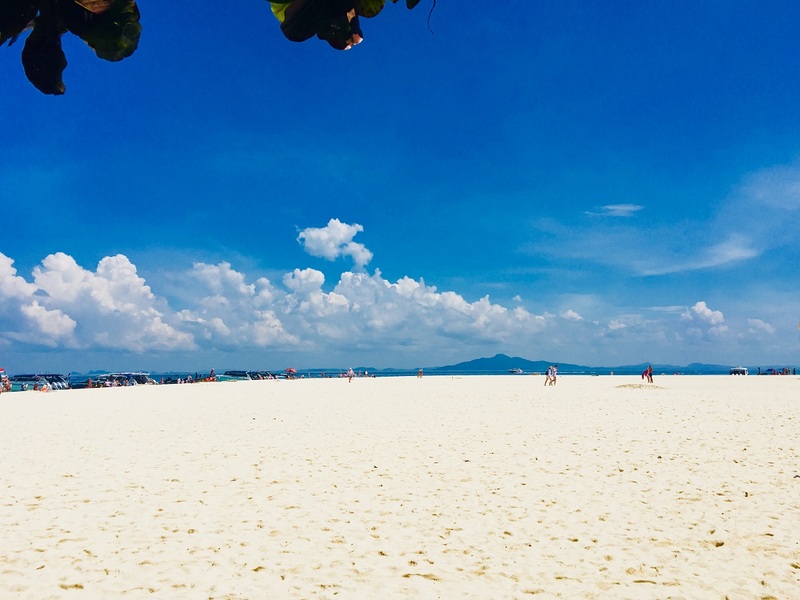 When we landed in Bangkok we had to collect our luggage and check-in again, and when we tried to check-in again, we discovered that our 2pm flight to Krabi didn’t actually exist. It wasn’t listed on the departures board, there was no check-in area for it, and none of the staff knew anything about it. Thankfully, we were put on another flight leaving a couple of hours later, but of course this flight was delayed, and so despite getting up at 5am, we didn’t reach Krabi until late that evening. Landing in Thailand was like landing in a home away from home, albeit with cheaper prices, better weather and no Brexit. 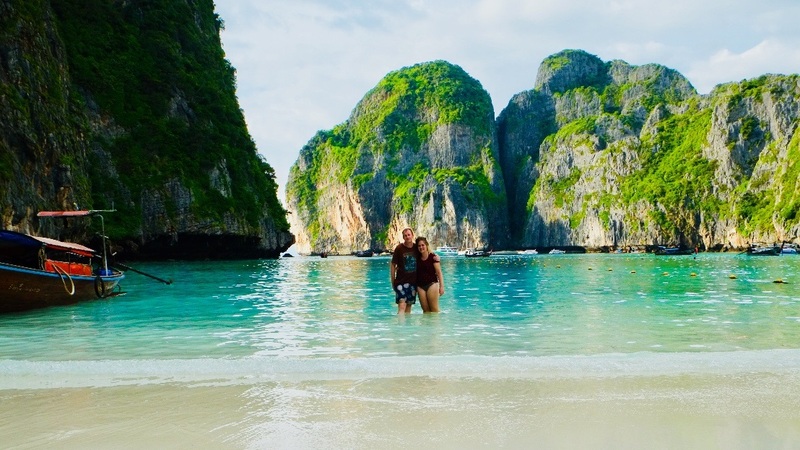 This was partly because we had visited parts of Thailand before (I found myself wandering around Koh Phi Phi, thinking “why does this seem so familiar? Where does this remind me of?… of course…Thailand!”), but it was also because the area is full of tourists and ex-pats, so you don’t have to move very far to hear an English accent or find an Irish pub. 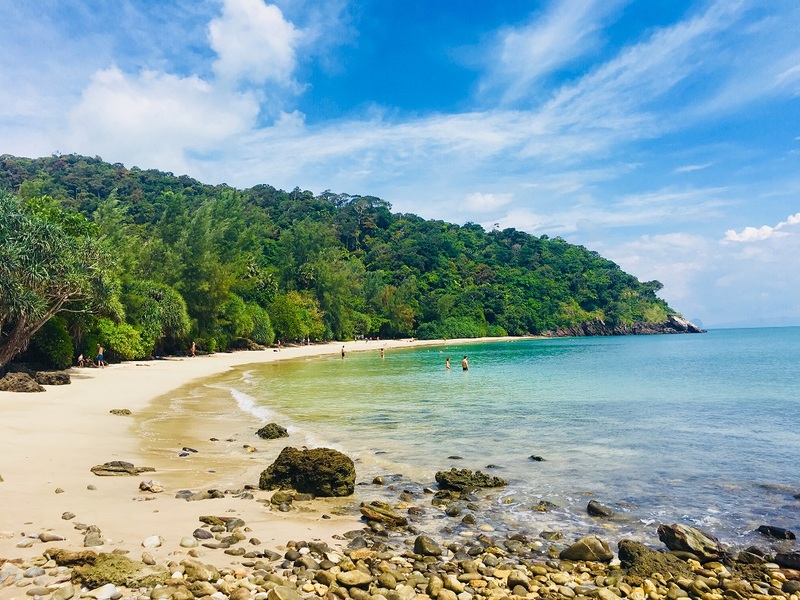 At first the hustle, bustle and number of tourists was a little overwhelming, but as soon as we reached our first island destination – Koh Lanta – we found peace, tranquillity and empty beaches. We also found numerous diving schools, and signed up for the PADI open water course on our first day. 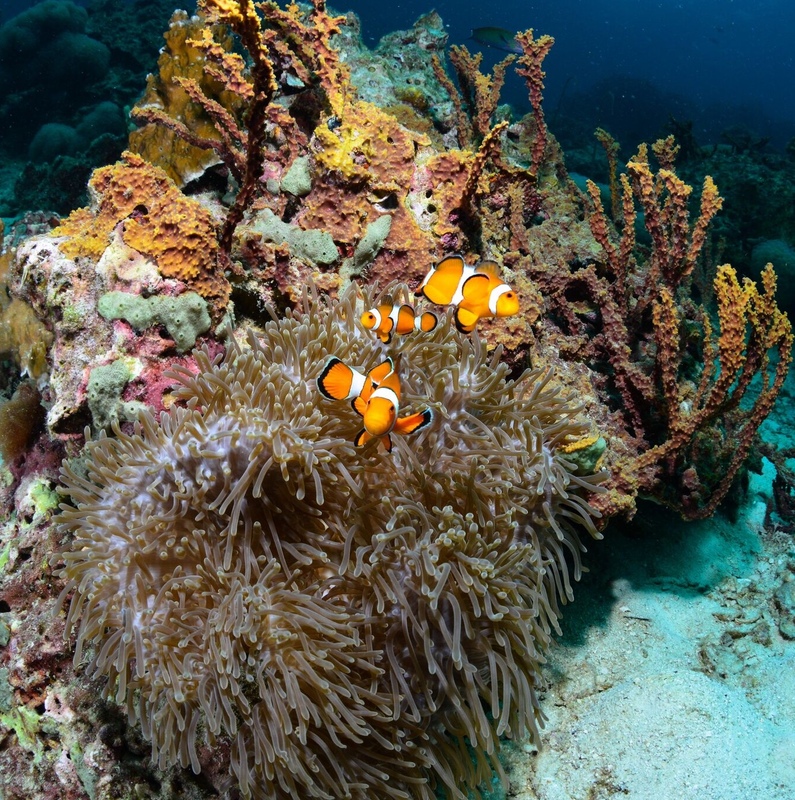 Learning to scuba dive has been a feature on my bucket list for as long as I can remember, and reasonable prices, high safety standards and world class dive sites made Thailand the obvious place to give it a go. The course consisted of one confined water dive in a swimming pool, where we learnt to use the equipment, practised breathing under water and performed various exercises such as learning what to do if you run out of air (!) This was followed by four open water dives in the sea at some amazing dive sites. The first time we stepped off our boat into the sea with our cylinders strapped to our backs and our masks on our faces, I started to feel anxious. Although I’d been fine in the swimming pool, suddenly scuba diving in the sea deep down under the water seemed like a terrible idea. 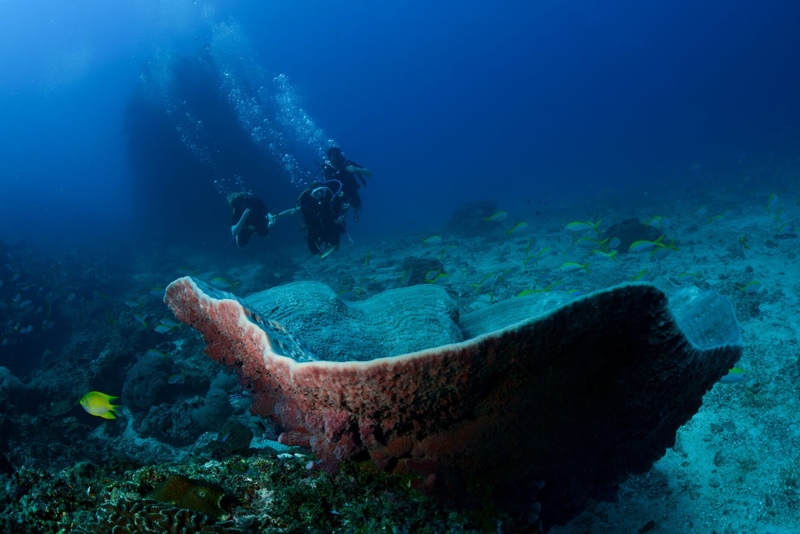 I had read the first chapters of my diving theory book, and scuba diving sounded dangerous. If I came up to the surface too fast and didn’t breathe enough, I would get decompression sickness and die. If I ran our of air and couldn’t find my buddy, I would probably die. If a shark came, I would probably get eaten and die. I was worrying about every possible scenario, and death seemed a likely outcome. As we headed down under water with our instructors (Daniele and Valentina), my mask kept filling up with water, I forgot how to equalise (release the air from trapped pockets like my ears) and I started to panic. I thought I might get trapped down deep underwater, not be able tobreathe, and not be able to reach the surface quickly enough. I didn’t want to scuba dive any more. In fact, I had a full on meltdown. Before long it was time for our second open water dive, and after a motivational pep talk from Valentina (“never give up”), I was back in the water for another attempt. This time was better. I didn’t panic, I went down really deep in the ocean and saw some amazing fish, and once again Valentina held my hand the entire time. At one point I did get scared again, but I was so far down under water that I couldn’t go back to the surface or do anything about it, so had to just calm myself down and keep going. 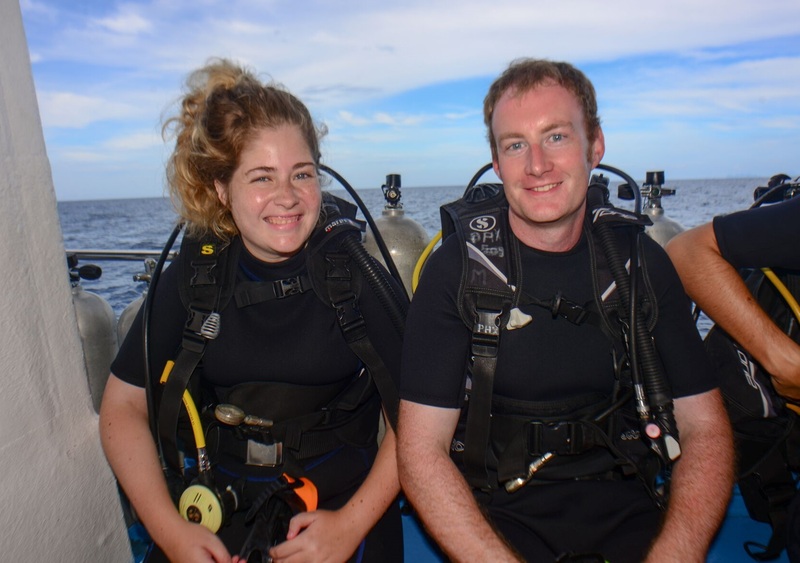 Things continued to improve on our third and fourth dives – I managed without Valentina holding my hand, I performed the exercises needed to pass the course, and we saw some amazing aquatic wildlife, including a yellow box fish and several moray eels. 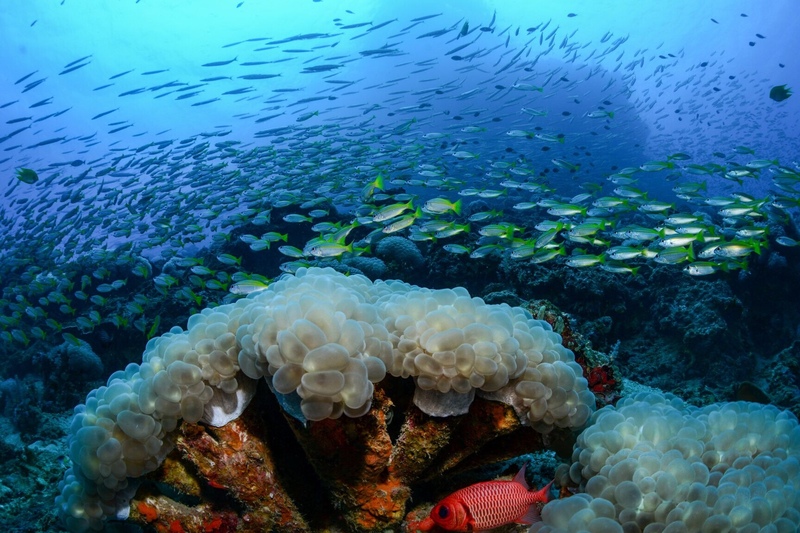 At one point I found myself trapped in a school of yellow snapper fish, while later on I swam past a giant clam. 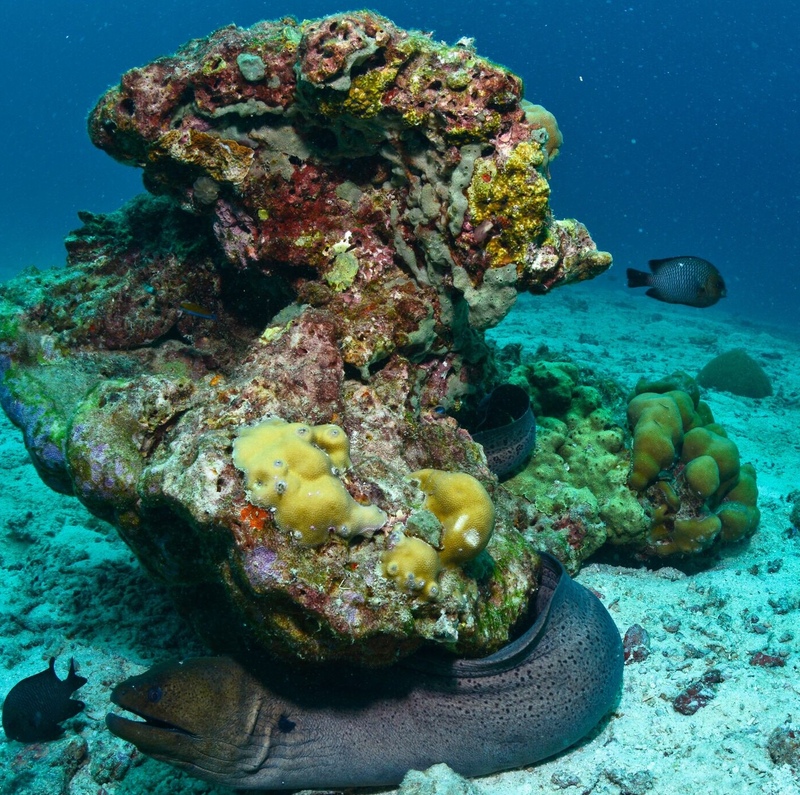 Life under the sea really was better (and wetter), and I started to actually enjoy the scuba diving experience. Back on dry land, we completed a short exam, and that was the end. Somehow, despite my tears and trauma, we are both certified open water scuba divers! I might even do it again. Our next few days on Koh Lanta were filled with walks along the beach, dips in the sea, splashes in our hotel’s very own swimming pool, and exploratory scooter rides around the island. 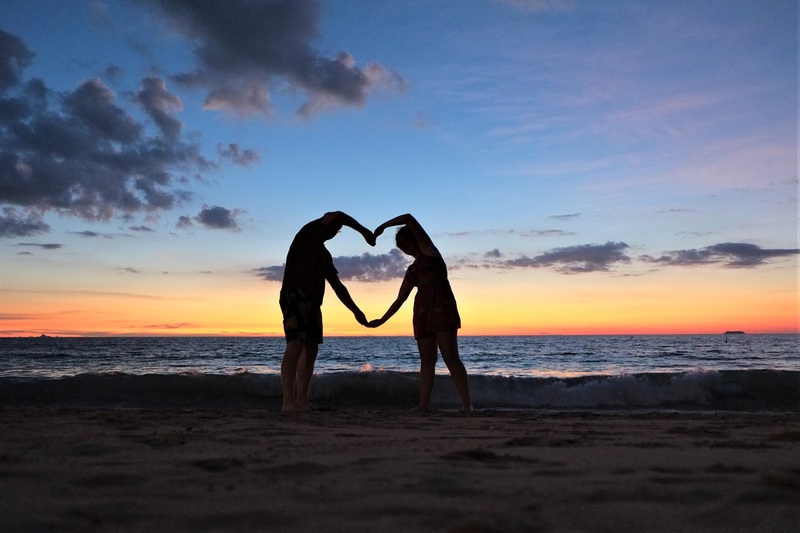 Koh Lanta was the perfect place to unwind and enjoy a luxurious honeymoon without the luxurious honeymoon prices. We had a large and beautiful room in a hotel equipped with all the essentials (air conditioning, TV, fridge, private bathroom) with it’s own beautiful pool just two minutes from one of the islands’ best beaches… all for £12 a night (£6 each). It was paradise, and yet it was also so peaceful. It made us wonder: why don’t we live here? Why doesn’t everyone live here?! We could stay here for a year for the same price that we could live in London for a couple of months, and we’d have wonderful weather, a lovely swimming pool and our very own amazing beach! 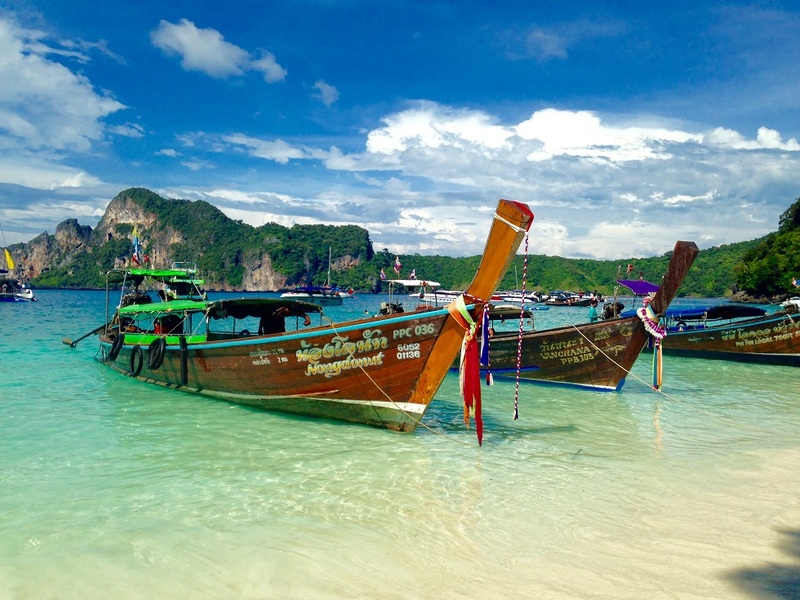 With flights from Heathrow starting at around £250 return, a holiday to Thailand could easily be cheaper than a couple of weeks away in Europe, and it’s so warm and so beautiful. 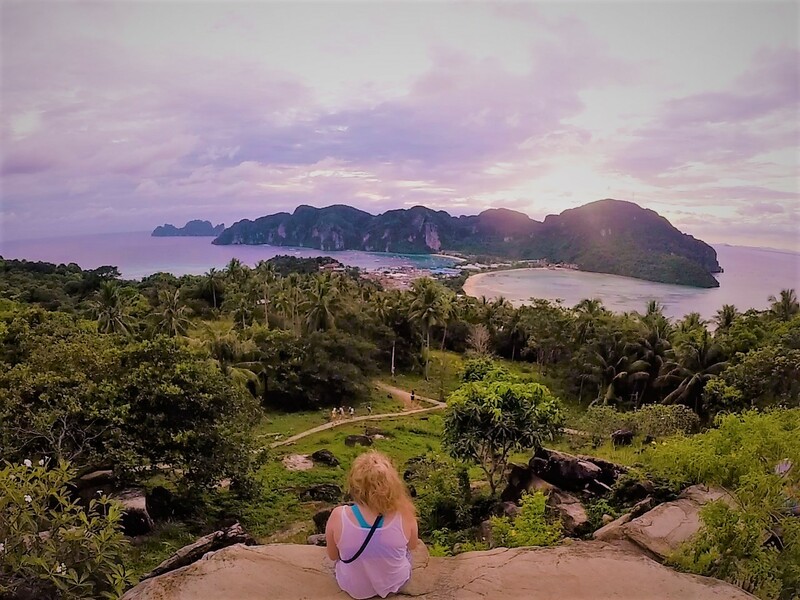 (I promise I haven’t got a new job with the Thailand Tourism Office – I just think Thailand is great, and have written more about it and why travel doesn’t have to cost the earth here). 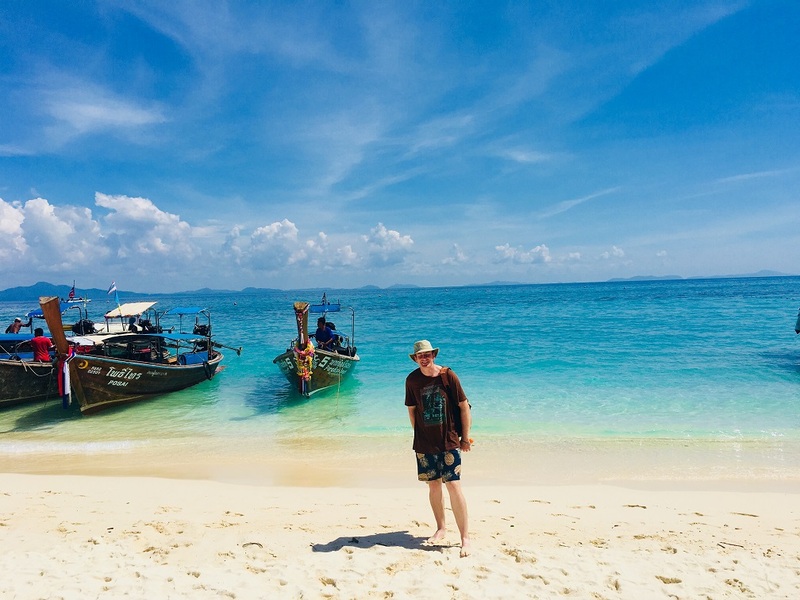 After a week of under-the-sea-adventure, rest, relaxation and beach fun, we took a boat to the legendary island of Koh Phi Phi, which had a different atmosphere altogether. Having read various travel blogs and guidebooks on Koh Phi Phi, I was fully prepared to have a horrible time. Described universally as a “party island” where under-21s come to drink buckets of vodka, I was expecting the island to be crowded, noisy and full of drunk people. The main reason I wanted to come was to visit the supposedly breathtaking neighbouring islands and see the beautiful scenery, but having read that the island has been ‘destroyed’ by drunk backpackers, I wasn’t feeling too enthusiastic and nearly skipped it altogether. Thankfully, it was nothing like I expected. There was a bit of a party atmosphere – there were lots of bars, places where you can by a bucket of vodka, and at night people do go out and have fun. It’s a lot livelier than Koh Lanta, but it is still charming and beautiful in its own way. From Koh Phi Phi we’ve hopped to various neighbouring islands for snorkelling, relaxing and watching the amazing scenery. Particular highlights were snorkelling at night with glow-in-the-dark plankton, ‘shadebathing’ on bamboo island, an island completely covered with the whitest sand I have ever seen (so white Shane and I had to get away as the sun was reflecting off it and burning our skin! 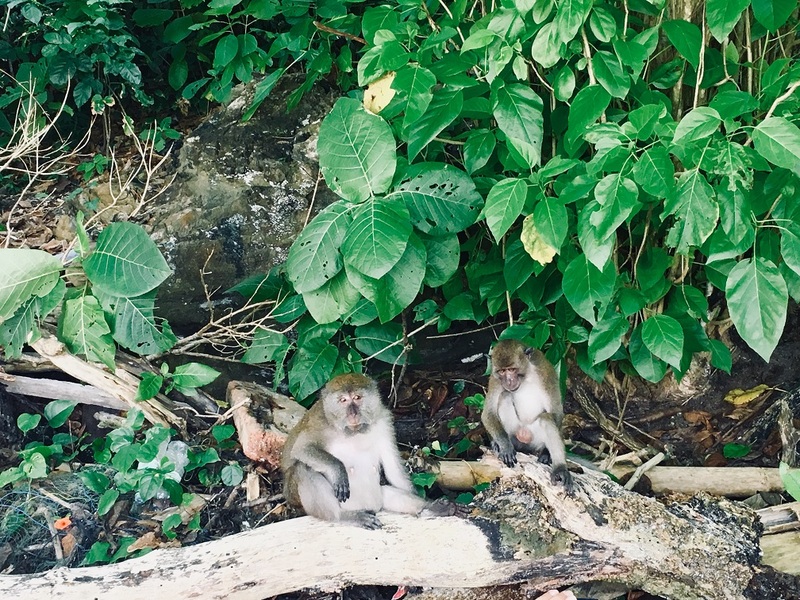 ), visiting monkey beach, and paddling in Maya Bay; the setting where Leonardo DiCaprio filmed ‘The Beach’. For the last two weeks as we’ve lazed around on beautiful beaches, watched the sunset over spectacular islands and snoozed in the sunshine, it has well and truly felt as though we are on our honeymoon. While we could stay here forever, there is a big world out there that we want to keep exploring, so tomorrow we are taking our last boat back to the mainland in preparation for the next adventure that awaits us: two weeks in the Sumatran jungle. 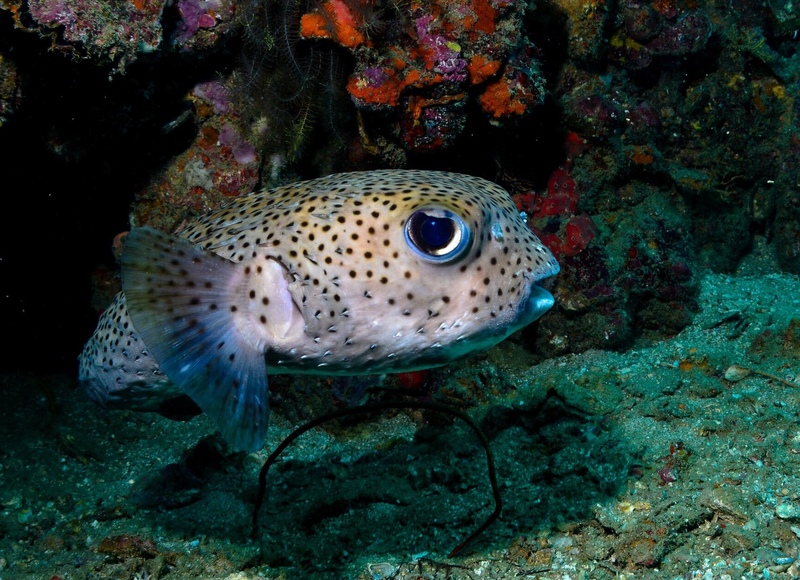 In case you are inspired by our tales of Thailand, we have two additional blog posts which go into more detail on what it’s like learning to dive, and why seeing the world can be cheaper than staying at home. What sort of travel is right for me?